Jonn Serrie began his musical voyage alongside his grandmother at the piano when he was a young boy. 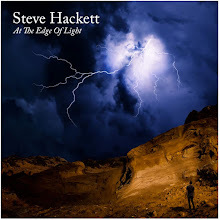 His passion for flight and music became conjoined later in life and he has put the two together to craft music inspiring planetarium shows and several albums with the inspirational possibilities and in some cases, reality of space travel. Serrie uses an electronic medium to capture evocative imagery that spans the cosmos. 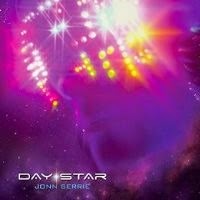 In the first track “Day Star” the title track from his newest album, Day Star, the album opens up to a slight hum, like the opening of a planetarium show. If you just sit back, you can see the lights flicker in your mind’s eye as the stars burst into a story all their own. The heavens hold many secrets, but Jonn Serrie might just have an inside track to a few of them. Tendrils of sound reach up and grab you, pulling you into the dark abyss of space, letting you float on clouds of vaporous gasses and natural wonderment. In this music, I could see the planets spin and the universe move in a breathless pace of electronic splendor. “Eden’s Waypoint” is a climb into the electronic realms of the vast canvas that are the heavens. Tinkling chimes and electronic blips are surrounded by swipes of sound like a radiant brush of color across velveteen blackness. There is much to be seen in the landscape of this piece. It is a voyage of discovery in a land as foreign to us as we are to it, but still we seek it out. The human heart is never content to just be…it always wants to see across the next horizon. Jonn Serrie is a revolutionary voice in the pursuit of celestial electronic music. His work encapsulates the deep mysteries of space with the human desire to explore yet another blank canvas. It is a beginning. It is the before and ever after. It is the music of the great beyond and that which will never be discovered. That is space…open…wild and free. One of the last unknowns and Jonn Serrie has crafted its soundtrack with artful electronic and brilliant compositions that have been heard at planetarium shows and on several albums. “Day Star” is the perfect end to a stressful day and the perfect gift for sci-fi fans.